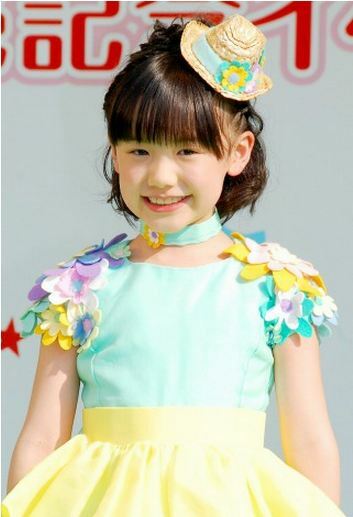 Ashida Mana holds release event for "Zutto Zutto Tomodachi"
On May 16th, child actress Ashida Mana held a release event for her 2nd single, "Zutto Zutto Tomodachi", at Ario Kameari in Tokyo. Despite it being a weekday, over 2,000 people gathered at the event. Ashida called out, "In 3 days I did my best to memorize the song!" and performed her new song for the very first time. Together with dancers PiaPia, Ashida danced to "Zutto Zutto Tomodachi" and its coupling track "Nanairo Picnic". She shared,�"I especially like the dance for 'yubikiri shiyou!' (let's make a pinky promise)." Finally, Ashida cheerfully stated, "Thank you to everyone who came out on this hot day! Please remember the dance!" After her performance, Ashida held a high touch event with 500 fans. Take a look at photos from the event below! Denpagumi.inc reveals short PV for "Tsuyoi Kimochi Tsuyoi Ai"